I know all the rage right now is the Twilight Saga and all.. but looking like a Cullen?? A New, Easy to use, Safe way to get that beautiful Bronzed complexion of your dreams! Want to know more about this amazing product?? Here with us today is Bronzed Envy’s Founder and Owner to tell us more!! Hello everyone from Free Pretty Things For You! My name is Blakeley and I live in Austin, TX. I am a stay at home mom of two boys. I always knew I wanted to start my own business, but I didn’t quite know what. 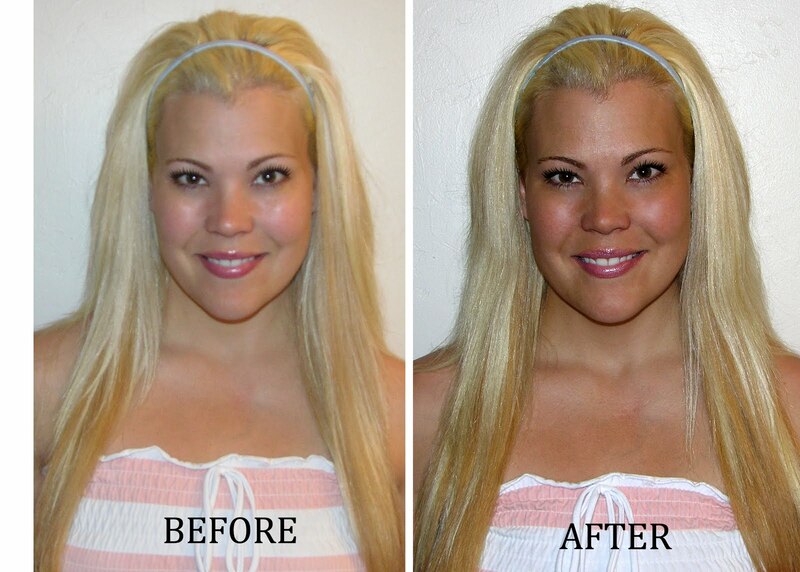 After doing some researching for a family member about safer, quicker ways to tan I came across Airbrush Tanning. I instantly fell in love with the idea and wanted to start my own Mobile Airbrush Tanning Service. I started Bronzed Envy in October 2008 and the rest is history. People were calling right away! I make my own hours, and am able to be home for my kids during the day. After 4 months I had to hire my fist “helper” and after 6 months, I was so busy I couldn’t believe it! This service is so popular and women all over the place are attaching the word “addicting” to this service. All it takes is ONE tan and you are addicted! The results are a natural toasted almond bronze, with NO orange or red undertones in the solution! I know, because I’ve developed the color myself. I knew exactly what my clients were looking for, and what I couldn’t find in a solution. I have clients coming to me after trying other places and stay with me mainly because they adore my color! I want to share this great opportunity with other women as well. I believe its the perfect business for stay-at-home moms wanting some extra income, or someone just like me, looking for something unique to start of their own. Its a fun, easy, low investment and high profit business! Make your own hours, be your own boss, and stay as busy as you would like! I can help you with everything you need to get started. Please feel free to check out my website or email me for more information! You can also purchase products other Bronzing products on our site that you can easily apply yourself! It’s all been perfected so no crazy skin tones and nasty smells going on! Be sure to check out our Self tanners and other products for sale HERE!!!! Your very own jump start on Healthy looking beautiful skin!! Leave a comment on this Post telling me what fun plans you have for this summer! Follow Bronzed Envy’s Blog here! Thank you Blakeley for everything!!! Your Products are sensational !! Our summer plans are just staying at home and keeping cool in the kiddie pool! This summer, my hubby and I are going to relax. We're always so busy; we need some down time! Also, my ten year high school reunion is this year, so I will be attending that. I would love to win this bronzer. Thanks for the chance to win. Next week I am heading out to my daughter's to stay with them for a few weeks. They are having their second child, so I will be watching the other one who is 2 years old and the baby. I think maybe I will be ready for the bronzer by then. Ha! I follow Bronzed Envy's blog. We are planning on boating on the surrounding lakes as often as possible and escaping the central California heat by spending time on the north coast! Don't have any dramatic plans for the summer. Still working on getting a job. I'm excited about zucchinis from my garden this year, though! Looks interesting. I also am fair and do not tan at all. I'll have to keep this in mind for future social gatherings and special occasions. I also follow bronzed envy's blog! I am currently almost 5 months pregnant and chasing our 16 month old son around all day long. My summer plans include a healthy pregnancy and keeping cool and sane in this heat with a growing belly! my fair fair skin needs a little help! we're headed to the beach before our cross-country move to California! I'm always searching for good bronzing products so this is great! Oh my goodness…. Do I EVER need this… I am VERY pale….that's how it is here in the NW… And, the drawing is just two days before my birthday so it would be a swell birthday gift for this "hitting the big time" chickie… Please enter my name too. We are planning a 3 day weekend getaway for my son's 17th birthday. A short trip to the lake with the whole fam and lazy afternoons by the pool. I became a follower of the B.E. blog a week or so ago. I wonder if I would look as beautiful with a tan! I'm such a whitie! girls here in indonesia mostly tan..
there's no way that this product could be a best seller here ..